President Yoweri Museveni presided over the groundbreaking ceremony for the construction of the Kanungu – Kihiihi – Ishasha – Rukungiri road in the Kigezi Sub-Region in South Western Uganda. The 78.5 kilometre project is expected to be built within 3 years at a total of Shs207.8 billion. Addressing a public rally in Kanungu Town shortly after the ceremony, President Museveni said that the NRM Government has pioneered and registered great success in the construction of several roads in Uganda since 1986 when the Movement took over political power. 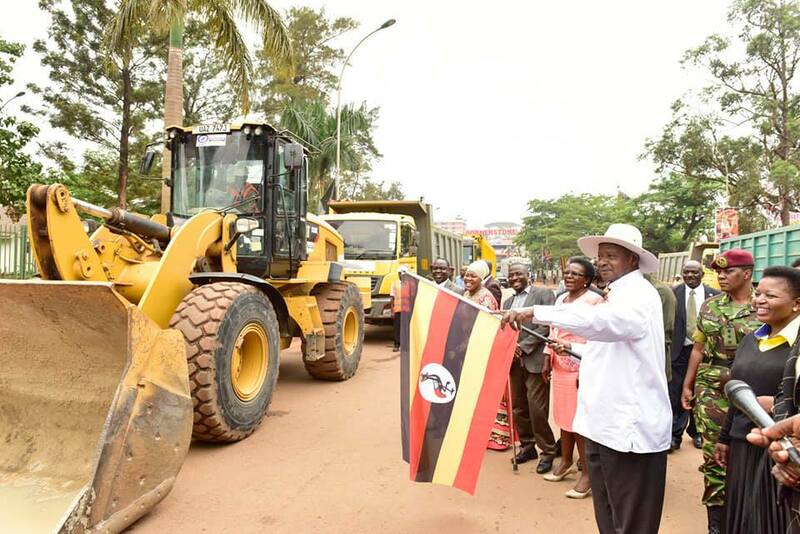 “The NRM Government pioneered in the construction of several new roads in Uganda. Plans are underway to build tourism roads that will include a link between Kisoro and Kanungu Districts. We pioneered in the construction of the Mityana – Fort Portal – Bundibugyo road. We also built a new road linking Kabale with Kisoro. The other new facilities include the Ntungamo – Rukungiri and the Kagamba – Ishaka roads. We also built the Karuma – Arua – Koboko road among others,” he said. He informed the gathering that the Government has also rehabilitated the Kampala – Kabale road twice since 1986. Mr. Museveni said that the Government is funding the new road project from Kanungu to Rukungiri via Kihiihi and Ishasha using its own resources and on top of an African Development Bank loan. He disclosed that soon, the Government, using Uganda’s national resources, would build the Kanungu – Rugyeyo – Kisiizi – Nyarushanje – Kyempene – Rubaare road as well as the Kanungu – to Kambuga Hospital road. He reminded the people that the NRM Government works through prioritization programme. Regarding environment, the President said all the wetlands and water bodies must be protected. He said that the newly built water supply for Kanungu and neighbouring areas get water supply from the wetlands. He stressed that the Government would evict people who have encroached on the wetlands. Mr. Museveni also disclosed that he would intervene in solving the mistakes arising from the supply of tea seedlings.